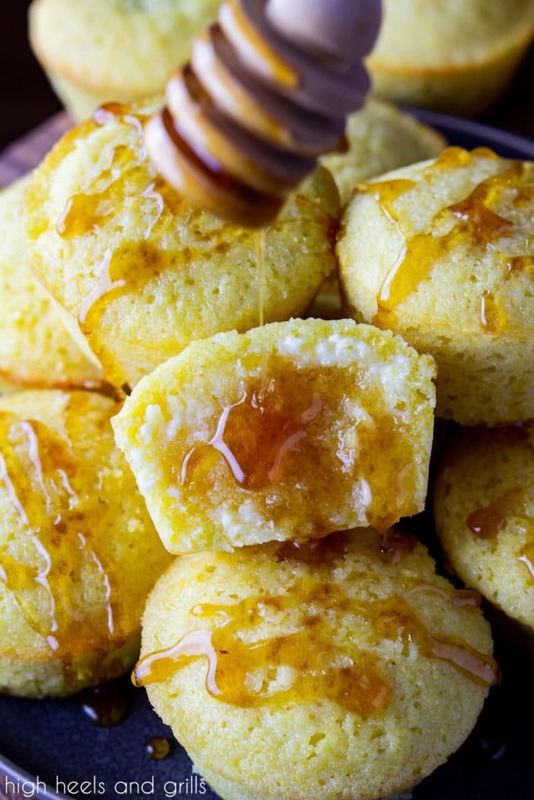 Look no further for a favorite cornbread recipe, because these sweet cornbread muffins are it! They are moist, flavorful, and a great side dish recipe. Not to mention, they soak up butter and honey like none else! This post is brought to you in partnership with Iowa Corn, but all thoughts and opinions expressed are mine. Thank you for supporting brands that make High Heels and Grills possible! 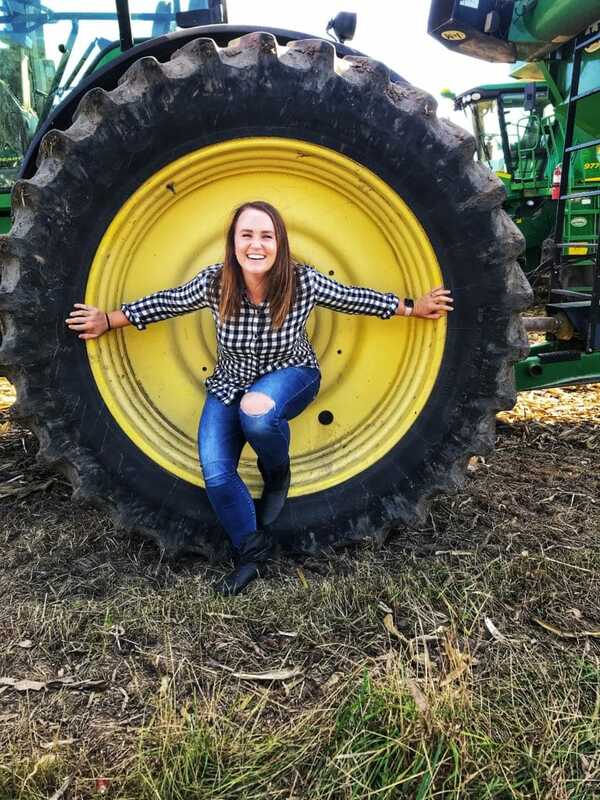 If you saw my recent post for this to-die-for, 5 ingredient, and super easy Corn Casserole, then you probably read how I had the incredible chance to visit Iowa with Iowa Corn, to visit a local distillery, local farms, restaurants, and to rub shoulders with some of the hardest working people in America – corn farmers. It was such an amazing experience and one that I will never forget! I learned so much on that trip, the most important things being all of the uses that corn has to our society. It is used to produce ehtanol, feed livestock, build our economy by selling it to other countries, and of course – we enjoy it on our dinner tables. The corn we eat actually makes up a small part of the corn that is grown in America, but it there are still some huge benefits to making it a regular part of your diet! Corn contributes to eye health by adding lutein and zeaxanthin to your diet, which prevent cataracts or macular degeneration. It contains a lot of fiber, which can help aid in weight-loss by helping you to feel fuller longer, so you’re less likely to overeat. The kernels of corn are rich in vitamin E, a natural antioxidant, that is essential for growth and protection of the body from illness, diseases, and cancer. These are just a few of the many benefits of a diet rich in corn. One of my favorite ways to eat corn is in the form of cornbread. I don’t know about you, but I prefer sweet cornbread opposed to regular cornbread. Apparently, a lot of other people do too, because this sweet corn bread is one of our most popular recipes! That’s why I wanted to make it easy for y’all and altered the recipe to make individual sweet cornbread muffins and they did not disappoint. At all. 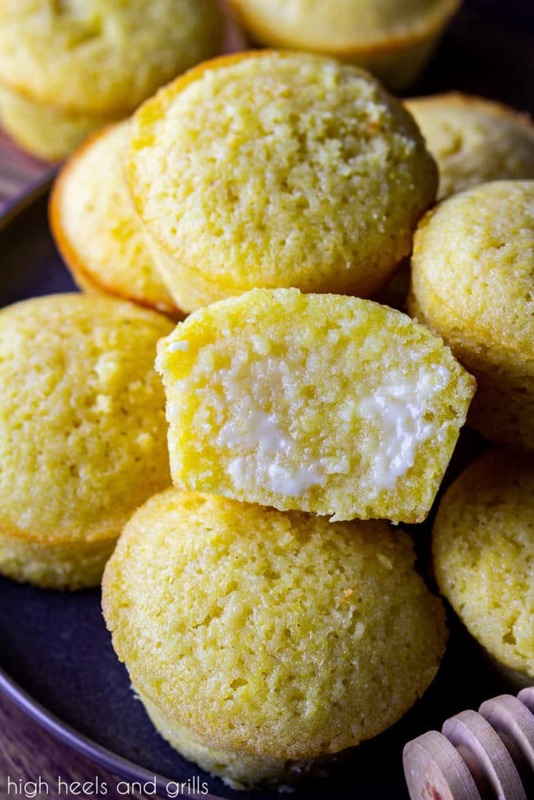 Can you freeze sweet cornbread? You sure can! In fact, we like to make a big ol’ batch of it and freeze the extras, so we don’t have to make more the next time we eat it with our favorite chili. Just let it cool completely and then place it in a storage bag. It is good for about two months. 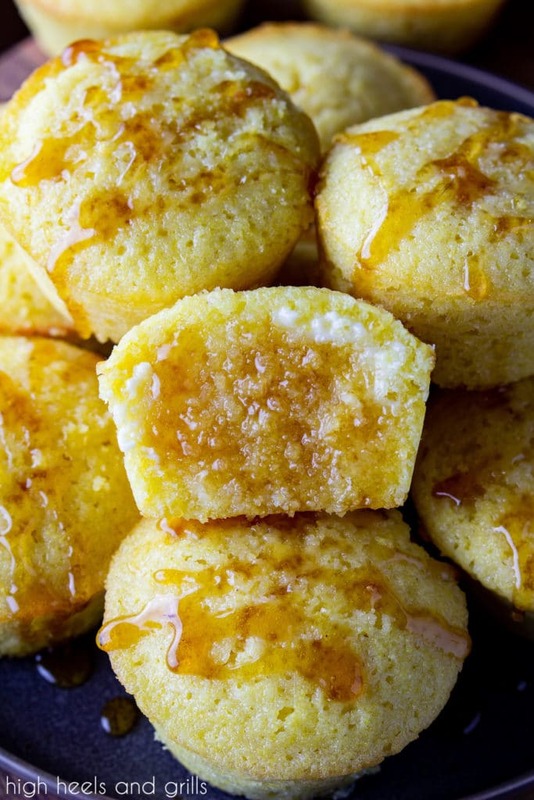 Can you reduce the sugar in this sweet cornbread recipe? That would be another yes. We have played around with different amounts of sugar in this recipe and 3/4 cup is probably the lowest I would take it to. It’s still sweet, but isn’t compromising the taste of the recipe. I am always blown away by how delicious this sweet cornbread recipe is every time I make it! I hope you and your family enjoy it just as much as we do! 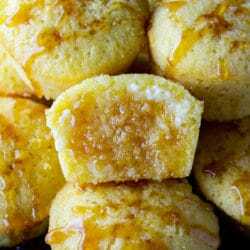 These Sweet Cornbread Muffins are so moist and flavorful! Slather them in butter and they are a great side dish to any meal. Preheat oven to 350ºF. 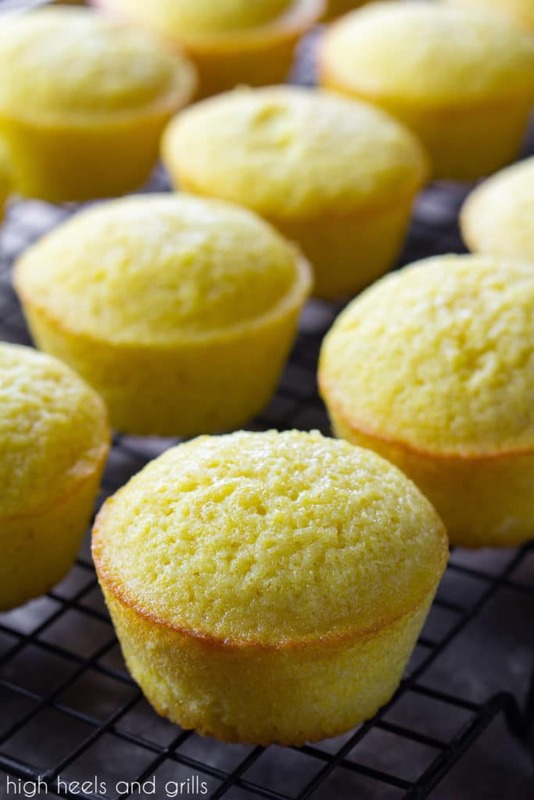 Place muffin liners in a muffin tin or spray a silicone muffin pan with cooking spray. In a medium-sized bowl, combine the eggs, milk, vanilla. Melt the butter in the microwave and then add to the egg mixture, stirring well. Fill each muffin hole 3/4 of the way full. Bake for 23-25 minutes or until an inserted toothpick comes out clean. Repeat with remaining batter. These muffins are so perfect! I would love one slathered with butter and drizzled with honey, mmmmmm! Adding this to my Thanksgiving menu for this year! I can’t wait!